Source: Beatport Top-100 Psytrance chart on May 28, 2015. Vând Sunete focuses on track recommendations and features everything from new releases to genre classics. 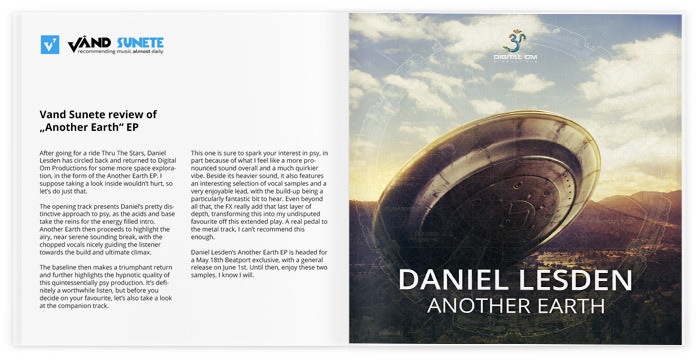 This time he reviewed Daniel’s „Another Earth“ EP, forthcoming on Digital Om Productions. 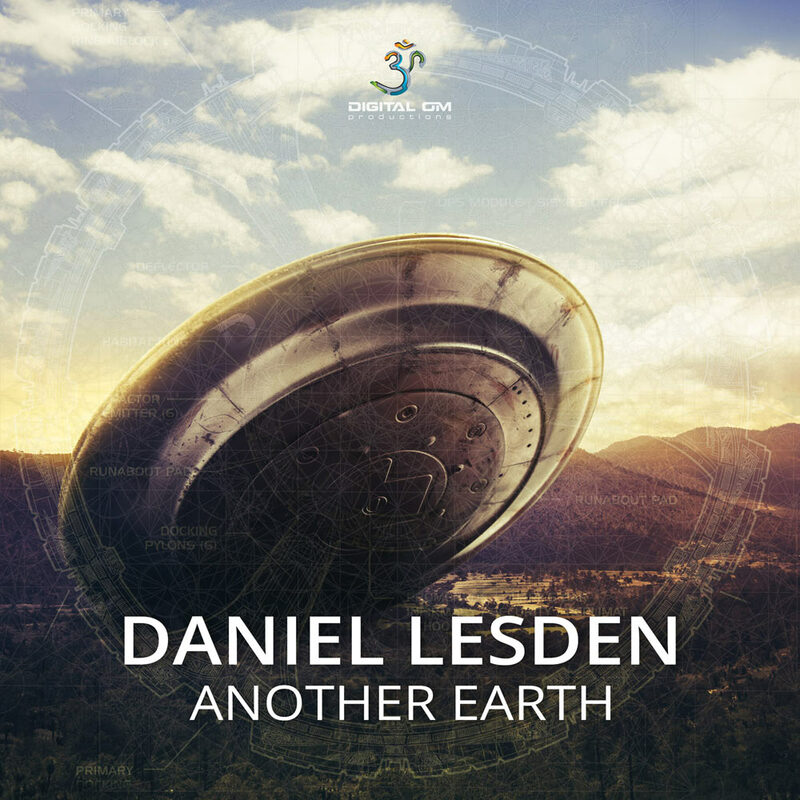 After going for a ride Thru The Stars, Daniel Lesden has circled back and returned to Digital Om Productions for some more space exploration, in the form of the Another Earth EP. I suppose taking a look inside wouldn’t hurt, so let’s do just that. The opening track presents Daniel’s pretty distinctive approach to psy, as the acids and base take the reins for the energy filled intro. Another Earth then proceeds to highlight the airy, near serene sounding break, with the chopped vocals nicely guiding the listener towards the build and ultimate climax. The baseline then makes a triumphant return and further highlights the hypnotic quality of this quintessentially psy production. It’s definitely a worthwhile listen, but before you decide on your favourite, let’s also take a look at the companion track. This one is sure to spark your interest in psy, in part because of what I feel like a more pronounced sound overall and a much quirkier vibe. Beside its heavier sound, it also features an interesting selection of vocal samples and a very enjoyable lead, with the build-up being a particularly fantastic bit to hear. Even beyond all that, the FX really add that last layer of depth, transforming this into my undisputed favourite off this extended play. A real pedal to the metal track, I can’t recommend this enough. 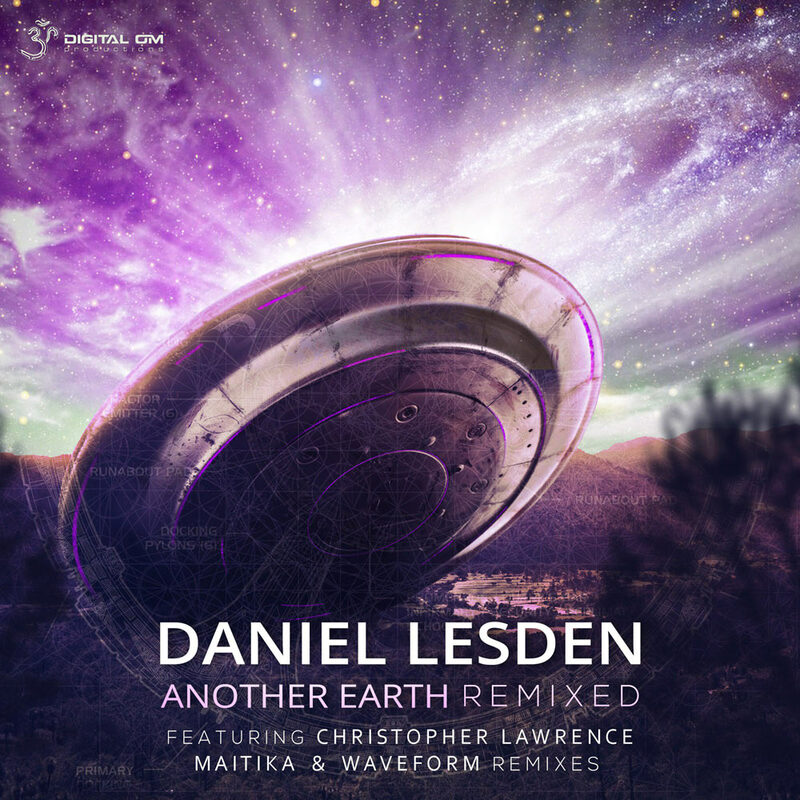 Daniel Lesden‘s Another Earth EP is headed for a May 18th Beatport exclusive, with a general release on June 1st. Until then, enjoy these two samples. I know I will.